The Pocono Mountains is known for it's scenic views of endless Mountain Sides and it's many lakes that stream through every square inch of the region. The never ending Mountains that run through the Poconos are perfect for every nature lover who truly appreciates the Earth and it's purest form. So much to do including hiking, boating, swimming, skiings, snowboarding, tubing, sledding, iceskating, fishing, hunting, and so much more! 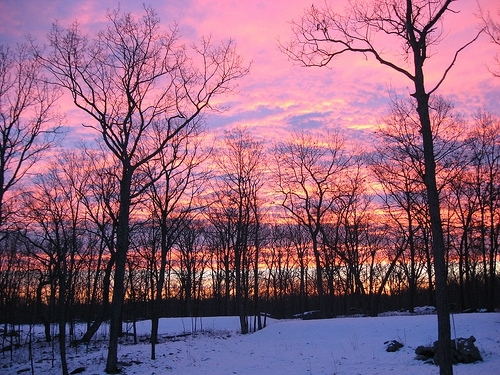 The Pocono Mountains captures the beauty of all four seasons. There are many hiking trails with breath taking views of the mountains all through the Poconos. Enjoying hiking at it's finest at The Tobyhanna State Park and Gouldsboro State Park. Site seeing is one of the Poconos Prime Attractions for sure. The Pocono Mountains is also home to PA State Gamelands! Seasonal hunting for the many hunters who flock here to enjoy a perfect day in the woods with their guns! Many homes in the Pocono Mountains back right up to the State Gamelands so they could be right in your backyard! 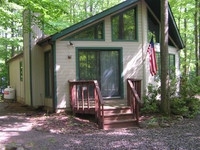 Lakefront Homes- Lakefront Housing in the Poconos is what it's all about! 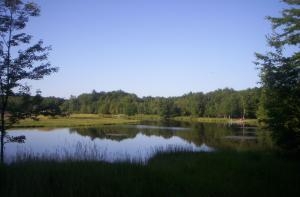 Most homes in the Pocono Mountains are in Ammenity Filled Private Communities with many lakes. Some communities have up to four different lakes to choose from! Some lakefront views can be right outside in your backyard. In most Lake Communities, Lakefront Owners have a Boating Station right in their backyard for a beautiful day of sailing on the lake. Most Pocono Mountain Communities offer you at least one or two lakes, so wherever you go in the Poconos, the lakes will follow! Communities with lakes are usually on sandy beaches with a Dock Station for boating or canoeing. Most are also used for swimming and have picnic tables, grilling stations, and concession stands for snacks! The many lakes, creeks, ponds, streams, and rivers will bring you much wildlife including fish, snakes, ducks, geese, frogs, turtles and much more! 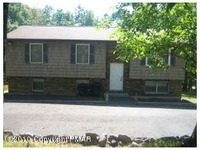 Ski Resort Housing in the Poconos - For Most of the Pocono's "Lake" Communities, Summer is the main season. Although for most of the Poconos, Winter Season is Prime Time! The Mountains truly become a Wonderland of Winter fun and activities. 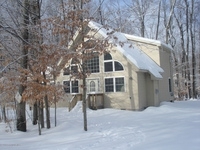 The Poconos is nationally known for it's Top Notch Ski Resort Housing and Winter time fun. People from all over the Nation, North America, Europe, and from everywhere all over the world pile into these Mountains to get their fair share of Skiing, Snowboarding, Tubing, Sledding, Iceskating, and Icefishing! Ski Resort Housing is available in our Perfect Resort Communities with homes minutes from the slopes. Most Ski Resort Communities offer a number of Ammenities. Besides the slopes, there are also lodges, festivities, live shows, restaurants, tennis courts, and so much more. As soon as the Poconos see their first bit of snow, The resorts keep it going all season long with their snow guns. The fun of Winter time in the Poconos will go all season long with no breaks! 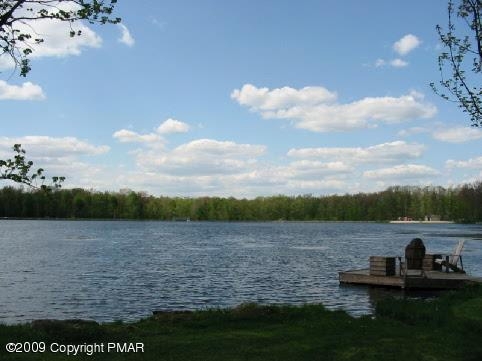 Get your Perfect Pocono Mountain Home right on the lake! This is a lakeside view of one of the Poconos Most Popular and Prestine Communities known as Arrowhead Lakes. There are many Lakefront properties available in this Elite Community. Arrowhead Lakes offers 2 big lakes, 4 beaches, 3 swimming pools, tennis courts, basketball courts, a clubhouse with a fitness center, and so much more. Wildlife including whitetail deer, chipmunks,turtles, wild turkey, foxes, snakes, many birds, and black bear, all can be seen while staying in Arrowhead! Remember, when you are thinking of Snow and Wintertime fun, think POCONOS! The Resorts will be opening their slopes anyday now as winter is approaching. Why wait? 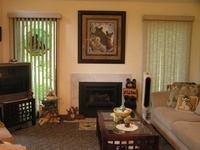 take a look for yourself on my website at all the Ski Resort Housing that is available in all Ski Resort Communities. Free Browsing for your Perfect Ski Home is available at Ricks Mountain Homes! When you're at my website, be sure to check out my MLS Dream Home Finder Page! This offers you a unique way of home browsing. When on the MLS page, you can fill out a home application telling me in exact detail of what you are looking for in a home. After that, leave your contact information, and I will get back to you with all listings matching your requests on the home application! Better get up here quick to get your fair share of the Pocono Mountain Nature Filled All Four Seasons Living! If you're serious about finding yourself a Pocono Mountain Home to live in full time, vacation living, or renting, I am your go to guy! I'm a Pocono Mountains Home Expert and can answer any questions you may have about Listings, Homes, Lots, Communities, Fall Foliage, or anything you need to know about the Region. Providing you with Old Fashion Serivice With Today's Technology! 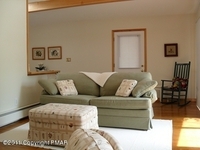 Waterfront Home Right Near the Ski Slopes at Jack Frost! Water Views AND Still Close to the Slopes at Jack Frost Mountain. Enjoy the Wonderland of the Quiet Community of Snow Ridge Village! This home has a lot to offer a buyer! With wonderful waterviews at this home, it is still very close to the ski slopes. A Contemporary Home with a stonewall faced fireplace. Perfect after a good day at the slopes! This is a 1 bedroom 1.5 bath sitting on 845 square feet. A smaller home perfect for a true Wintertime Ski Lover! Size isn't what this home has to offer, although it makes up for it with location, interior and exterior features, and priced right at 119,900. 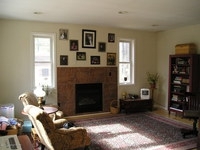 Offers a Master Bedroom with Full Bath, Cable TV, Loft, Fireplace, and Contemporary Cathedral. The loft is built to sleep in! This home has wall to wall carpet, but it has ceramic tiles in the Master Bath. This home has much to offer a single skiier who loves the slopes and is looking for a nice small cozy spot on the mountain who wants to be close to the ski slopes and knows how to appreciate a wonderful Waterfront! Waterfront Homes in the Poconos - A lot has been said about the many lakes that the Pocono Mountains boast about here in Northeastern PA. The fact of the matter is, this region is loaded with lakes, creeks, rivers, and ponds. It isn't just lakes! All the bodies of water are loaded with fish and other little critters that call the water home. Streams run through the Poconos with nature bound siting and waterside wild life including fish, ducks, snakes, frogs, turtles, and so much more. Jack Frost Mountain and Resort- Jack Frost is home to premier Pocono Ski Resort Housing anytime of the year at Jack Frost's Snow Ridge Village, where snow comes first. Single Family Homes, Ski Resort Condos, and Village Townhome Units are what's waiting for you at the ideal Winter Retreat or Winter Wonderland Getaway! Home owners can join the Mountain Lake Club enjoying fishing, swimming, boating, pools, beach, and tennis courts. Even though you think snow when you think Jack Frost, it isn't just for winter anymore! Jack Frost is a four season Ammenity Filled Community Deluxe with ammenities for all year round for your liking. Heard enough? Be sure to Contact Me with any questions about the Pocono Mountain Region at Ricks Mountains Homes. Providing Old Fashion Service With Today's Technology, this is Rick Cordisco your Pocono mountain Professional, Realtor, Owner, Blogger, and Personal Guide to the Wonderful Pocono Mountains! Snow has already fallen in the Pocono Mountains. October 29th, 2011 the Pocono Mountains recieved a Snow Storm with several inches accumulated! This is early of snowfall, says that Winter is coming early this year! 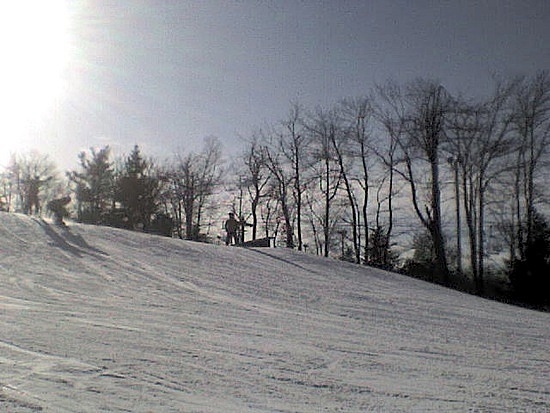 Wintertime lovers and Skiiers better get ready for their Pocono Mountain Skiing Sensation sooner than later! LAKEFRONT-Lakeview, beautiful one level ranch, maintained to brand new perfection. Gorgeous view from living area, master bedroom and kitchen too! 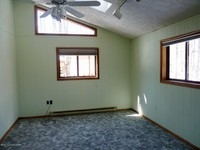 Hardwood floors, new ceramic tile, new carpet, lovely counter top, ceiling fans. Like New shed w/ramp, 13X16.5. Decking 40X13 & 12X12. This is a Contemporary Ranch Style Home with a magnificient Lakeview in one of the many Ammenity Filled Communities in Locust Lake Village. There is a lot that this home has to offer aside from the beautiful Lakeview. It comes with your Interior Features that add a very cozy feeling to your living style. A Stone Vinyl Exterior Feature with a stone faced Fireplace in the Living Room. Ceramic tile, wall to wall carpet, and hardwood floors, a very Unique Style indeed. This home also includes a Deck and a Utility Shed. This home sits in a paved road with off street parking included. Also, including a Master Bedroom with Bath Suite and Cable TV. It is a perfect 3 Bedroom Contemporary Ranch with a wonderful Lakeview priced right at 285,900. To know more about this lovely Lakefront Contemporary Ranch or similar listings, come to my Website for Free Browsing through all available homes. All homes are broken down into different Community links seeing each home at it's finest in great detail. 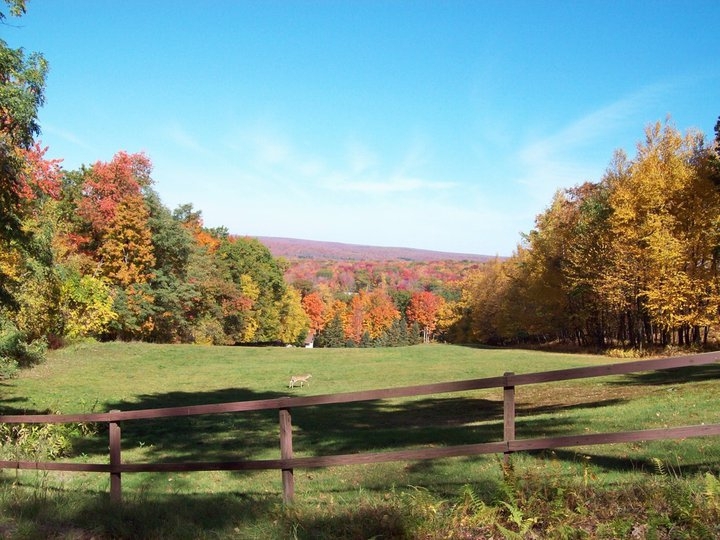 Ricks Mountain Homes offers you a friendly, fair, and inviting take on the entire Pocono Mountain Region. There are direct links to everything you could ask for in the Pocono Mountains including Fall Foliage! 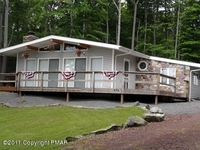 To browse different Styles of Pocono Homes there are direct links to Lakefront Homes, Log Cabin Homes, Ski Resort Housing, and Homes Backing up to State Gamelands. To get in touch my information is on the website including phone numbers and email adress. Contact me anytime for information on Listings, Lots, Communities, Fall Foliage, and much more! Locust Lake Village - Locust Lake Village is a private lake community located in the tiny town of Pocono Lake PA comprised of 1600 properties. It is located just off of Route 940. There are four lakes that offer endless amounts of fun including iceskating, fishing, boating, swimming, food concession, grilling, picnicing, and much more. There are tennis courts, basketball courts, and a baseball field as well. Two of the tennis courts are equipped with lighting for night time tennis playing. Skiing within the community it also available with weather permiting to do so. Locust Lake Village has their very own ski slope with an elevation just under 2,000 feet. In Locust Lake, there are currently homes for sale including more lakefronts then this one and lots. This is a picture of one of the many views of a lakeside in Locust Lake Village! Tastefully remodeled Lake Naomi Ranch on Lrge landscaped lot with circular drvwy & extended 2 car gar. 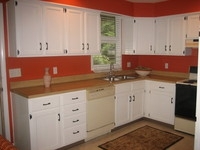 Features 3 BR's,1.5 Baths, bright kitchen w/ recessed lighting. 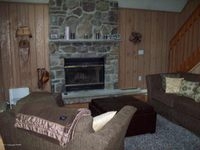 Extended Living Rm with stone fireplace & Kodiak insert. 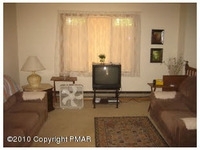 Dining area & Living Room feature cathedral ceilings & newer carpet. Ent. 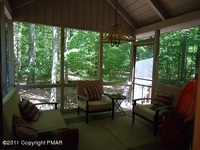 to fabulous screen porch from Dining area. Walk to lake & beach. All the work is done-just move in to this super clean home. A Remodeled Ranch in Lake Naomi which is one of the Many Ammenity Filled Communities in the Pocono Mountains, is only missing a lucky occupier! This home is wonderful including the Master Bedroom, Garage, Kitchen, Screen Porch, and Dining Room all REDONE! Come Check this Wonderful Home out Today. It surely won't be on the market much longer. It is a STEAL! Contact Rick Cordisco for further information on the Adorable Ranch Home in Lake Naomi, and any other questions on information reguarding the Pocono Mountain Communities, Listings, Homes, Lots, Ski Resort Housing, Fall Foliage, and whatever else you need to know! All Information can be found on my website at Ricks Mountain Homes! 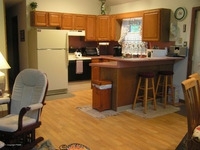 Lake Naomi is a top notch Ammenity Filled Community located in the tiny town of Pocono Pines PA. This Community has gained nation recognition because of it's wonderful hospitality, fine living, and endless features and things to do! 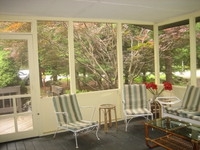 Here's the beautiful Screen Porch. Can't Forget About That! EXQUISITE 4 BEDROOM CONTEMPORARY COLONIAL WITH 1+ ACRE ON THE GOLF COURSE. THIS CENTER-HALL COLONIAL HAS A EUROPEAN FLAIR WITH UNIQUE DECOR AND LIGHTING. THE MASTER SUITE FEATURES AN ULTRA MODERN WHIRLPOOL TUB WITH A WATERFALL AND BUILT-IN RADIO. UNIQUE CIRCULAR GLASS ENCLOSED SHOWER. ULTRA MODERN FIXTURES THRU OUT. ALL MAPLE HARDWOOD FLOORS,DECORATIVE TILE FACED GAS FIREPLACE IN FAMILY ROOM.CHECK OUT PHOTO TOUR AND MAKE YOUR APPOINTMENT TODAY. CERTAINLY A BEAUTIFUL HOME IN AN AMMENITY FILLED COMMUNITY KNOWN AS POCONO FARMS IN THE TOWN OF TOBYHANNA PA. ATTIC, PELLET STOVE, FIREPLACE, SAT DISH, BASEMENT, INSULATED SIDEWALL, AND MUCH MORE THAT MAKES THIS HOME A STAND OUT COLONIAL PERFECT FOR A FAMILY TO LIVE IN! What a Beautiful Home on the market in Pocono Farms! It is truly a stand out colonial home with endless Interior Features that are hard to find in a Colonial priced so right in a Great Gommunity. 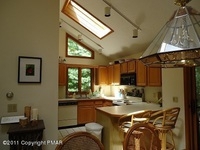 Ricks Mountain Homes offers you all the best listings of homes in the Pocono Mountain Region. By going to my website you are able to see as many homes as you like for free! 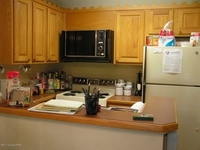 Free Browsing at Ricks Mountain Homes including many other features! Check out my Communities Page by clicking the above link in the Home Summary to see all the Pocono Mountain Communities, their Features, Ammenities, Homes for Sale, and much more! Ricks Mountains Homes will bring you your Fall Foliage Reports and many styles of homes with their very own pages. Styles vary from Colonials to Ranches and many more. 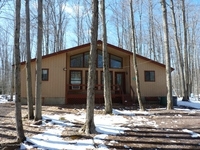 Check out Pocono Ski Resort Homes, Pocono Log Cabin Style Homes, and Homes Backing up to State Gamelands! Also, be sure to check out my MLS Dream Home Finder Page. It's quite simple, click the link, tell me what you're looking for in exact detail in a home. After that, leave your information, and I will return listings matching your requests! I hope to be helping you make your way into your Pocono Mountain Dream Home sometime in the near future. Again, I'm Rick Cordisco, your Pocono Mountain Professional, Realtor, Owner, Blogger, and Personal Guide to the Pocono Mountains in PA! Seen and heard enough already? Contact me right now by phone or email, and we'll get started! The Quintessential Mountain Chalet in Sought After Big Bass Lake Community. Tile and Hardwood Floors Tastefully Blended in With Modern Wall to Wall Carpet and Granite Counters! Everything You Could want in a Mountain Chalet and Much More! Everything in this home is blended in matching beautifully together. 5 Bedrooms 3 Bathroom home with the second bathroom completely remodeled, this home is ready to be bought! 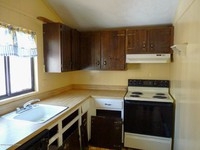 Appliances including Washer, Refrigerator, Dryer, Electric Oven, and a Dishwasher. 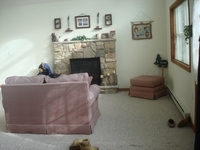 There is also a stone faced fireplace in the living room. Exterior features are also beautiful with a Deck, Window Screens, and Storm Door. 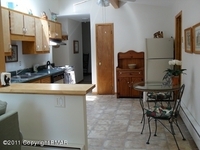 Interior Feeatures include M Bdrm with Full Bath, Cable TV, Loft, Island Kitchen, and Cathedral. If you like what you hear feel free to Contact Me, Rick Cordisco, for more information on this lovely home! Ricks Mountain Homes provides you with much to see in the Pocono Mountains. Wonderful homes and listings is only the beginning of your Pocono Mountain Journey! There are tons of Pocono Mountain Ammenity Filled Communities, Many Styles of Homes, Fall Foliage Reports, and much more at my website. Breaking it down as easy as possible to make sure you don't miss anything great! Also, check out my MLS Dream Home Finder Page providing you with a chance to give exact details on what you're looking for in a Pocono Mountain Home. Fill out the app, send it to me with your information, and I will return your request with matching results on your application! For most of the Pocono's Communities, Summer is the In-Season but for the Poconos in general Winter Time is The In Season. The Mountain Becomes Simply a Winter Wonderland. Once the Snow Hits, the Ski Resort Mountains Just Keep it Going with their Snow Guns. Skiiers, Snowboarders, Tubers and Other Wintertime Outdoor Enthusiasts Flock to the Poconos and their Favorite Subsequent Ski Mountain! Pick Your Favorite Mountain and see What Kind of Ski Housing is Currently Available for you there! 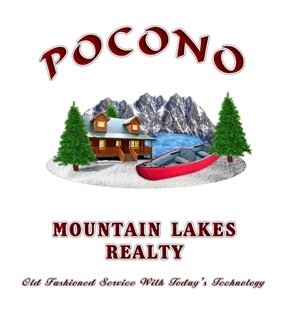 Each Mountain has a Direct Feed from the Pocono Mountain MLS for the most accurate and up to date listing information. No more picking up Old and Stale information from a Third Party Site! Here are our Pocono Mountain Ski Resorts and a little taste of each one! Big Boulder Mountain/ Resort -Big Boulder was born back in the 1800's from an old Lehigh Coal and Navigation Company. Love Skiing at night. you can't go wrong buying a pass for Jack Frost / Big Boulder. Ski Frost During the Day and Boulder at Night. Great Lodges on site for those warming up moments at the Bar! Big Boulder is one of the Grand Daddy's of Ski Mountains in Northeast PA and their Terrain Park has been rated a Top 5 Terrain Park on the East Coast by Transworld Snowboarding! Jack Frost Mountain/ Ski Resort - Come explore the premier Pocono Ski Resort Condos any time of year at Jack Frost's Snow Ridge Village, where snow comes first. Located in the scenic Pocono Mountains of Northeast Pennsylvania, Jack Frost's Snow Ridge Village Townhome Units are the ideal destination for your next winter retreat or summer get-away. Homeowners Can Join The Mountain Lake Club and enjoy fishing, swimming, boating, pool, beach and tennis courts so even though you Think Snow when you Think Jack Frost, it isn't just for Winter Anymore! 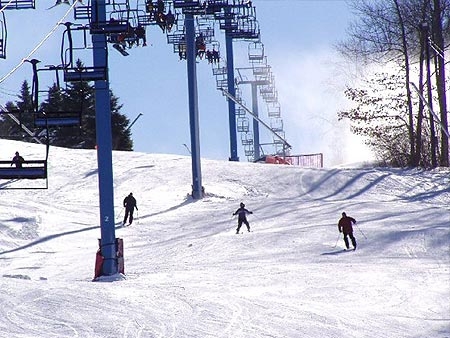 Average Annual Snowfall - 50"
Camelback Ski Mountain/Resort - Camelback Ski Resort is located in Tannersville PA, a small town in the Pocono's of Pennsylvania. Enjoy top notch skiings, snowboarding, tubing, and so much more including wonderful restaurants, and breathtaking mountain side views that are like no other. This resort is an example of what the Pocono Mountains is all about. 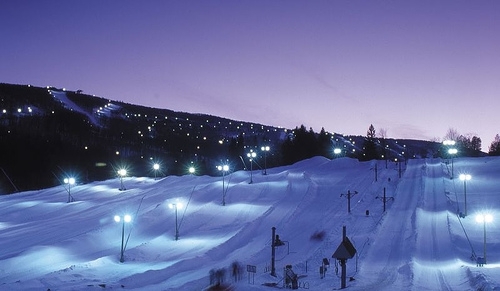 With 34 trails that are all lighted for night skiings, Camelback Mountain is a must see when your on your Pocono Mountain Excursion! 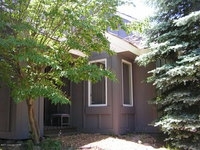 Gorgeous, 3bd, 2bth, home, privacy, yet within walking distance to the Lake and Golf Course. Master Suite with sitting loft and private balcony. Home is bright and inviting! Own this Home and be on STAY-CATION all the time! 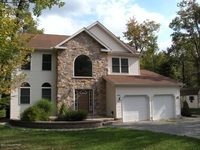 Another beautiful home in the Pocono Mountains! 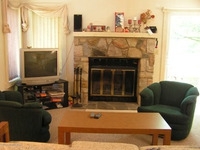 This home is located in Timber Trails Community in the small town of Pocono Pines. This home really has it all including whirlpool oversized tub in the Master Bath, basement with electric, a stone faced fireplace in the living room, and much more. It comes with your basic appliances including washer, refrigerator, microwave, electric oven, dryer, and dishwasher! This home 1728 square feet. Community Ammenities Include- Beaches, Tennis Courts, Teen Center, Security 24/7, Gated, Outdoor Pool, Fitness Center, Lakes, Indoor Tennis Courts, Indoor Pool, Golf, Clubhouse. Ricks Mountain Homes provides you with further information on this Timber Trails Beauty Home and much more. Check out the website for information reguarding more homes in Pocono Pines, Timber Trails, many other communities, and much more. Ricks Mountain Homes breaks down houses into styles like no other including Lakefront Homes, Log Cabin Homes, Ski Resort Homes, and Homes Bordering State Gamelands! Contact Rick Cordisco your Pocono Mountain Professional, Owner, Realtor, Blogger, and your Personal Guide to the Pocono Mountains in PA! Also, you'll regret it if you don't check out my MLS Dream Home Finder Page that gives you the chance to tell me exactly what your looking for in a home. Fill out the app, leave your information, send it to me, and I will answer back with all homes matching your requests! LOOKING FOR THAT DOLL HOUSE??? Move right into this Contemporary Mountain One Level Getaway!!!! 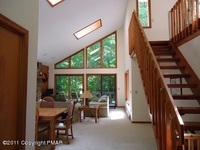 !Vaulted Ceilings,Fixed Glass Adds to the Pocono Ambiance. Light & Bright. Close to Heated Pool,Pride of Ownership in This 3 B/R 1 Bath Home,on Gravity Central Sewer. Large Corner Lot! 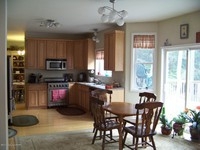 Priced right at 124,500 this is a gorgeous home. This is the perfect getaway to the Pocono Mountains for a couple or a family. Very homey and dolly indeed! It is only 1.5 blocks away from one of the heated pools in the Ammenity Filled Arrowhead Lakes Community. A cozy home to enjoy what the Pocono Mountains has to offer. Relax in your doll house before taking a short scenic walk on over to the heated swimming pool, or simply sit inside around the fireplace and keep it stoking all night! To know more about this Doll Home click on the above links that back track you straight to my website. 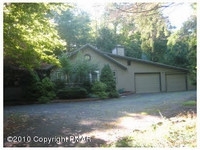 Ricks Mountain Homes brings you more then listings. 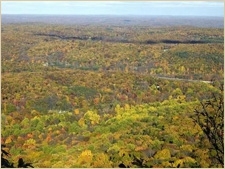 A variety of searching is available including your Pocono Happenings and Fall Foliage Reports! So much to see and in such an easy fashion. I break down homes in every square inch of the Pocono Mountains to every feature, price, appliance, and community. So many homes available including Lakefront Homes, Log Cabin Homes, Ski Resort Homes, and Homes Backing up to the State Gamelands! Also, be sure to check out my speciality which is my MLS Dream Home Finder Page! MLS providing you with fill out information breaking down what exactly your looking for in a home. Prices, styles, you name it! Simply fill out your requests for homes, and leave your email adress or phone number with your application. I will return with homes matching your requests ASAP! A little About Arrowhead Lakes! 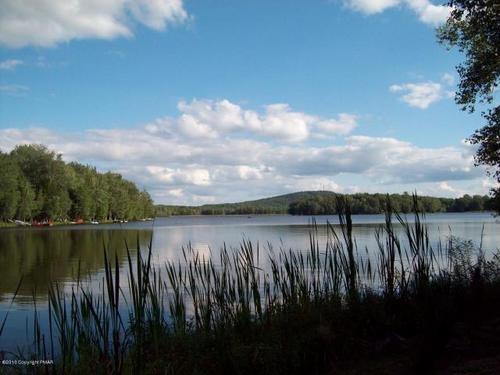 - Arrowhead Lakes Community is a private and gated pristine lake community in the tiny town of Pocono Lake, PA! The community amenities seem endless! 2 Large Lakes ( 260 Acre & 90 Acre ), 4 Beaches, 3 Heated Swimming Pools, 7 Tennis Courts, 5 Boat Launches, 2 Sets of Basketball Courts, Volleyball Court, Horseshoe Pits. Seen enough already? Contact me anytime and I will provide you with friendly and professional real esate services. Ricks Mountain Homes bringing you Olf Fashion Service With Today's Technology! Location,Location, Location! Walk to Minisink pool from this 4 bedroom,2 bath ranch style home with Living room / dining room combo. Fireplace to enjoy the winter nights. New carpets and newly painted. Storage shed too! Everything in the Ranch Style Home is spiced up and fresh! It is ready to be sold to a lucky someone, lucky couple, or a lucky family. 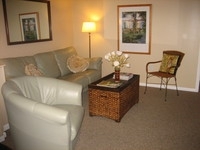 Right near the pool and full of freshness, it is priced right at 139,900. What a great price for a 4 bedroom home within seconds from The Heated Minisink Pool. Minisink Pool also has a poolside strictly for the children to swim in! Keep the fireplace roaring in the wintertime as well! What a fantastic deal! Ricks Mountain Homes will always bring you the latest on all Pocono Mountain Homes for Sale and all of your Pocono Happenings. A perfect home with a perfect location, this home is freshly painted and ready to share its beauty. The only thing this home is missing is someone to occupy it! To know more check out the link above which backtracks you straight to my website with all your current listings and much more! Be sure to check out my MLS Dream Home Finder Page and fill out the app to give me a feel on your Perfect Pocono Mountain Home. Tell me your requirements and I provide them! 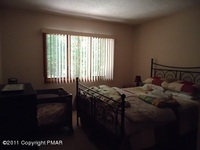 This home is located in the elite Arrowhead Lakes Community. To know more about Arrowhead Lakes simply click the link and read the mini biography of the prestine community. The Pocono Mountains is full of wonderful Ammenity Filled Communities. To know more about the rest of the mountain and it's fantastic community offerings, click the Ammenity Filled Communities link now! My website breaks the Poconos down from town to town, community to community, and home to home. Providing you with Old Fashion Service With Today's Technology! 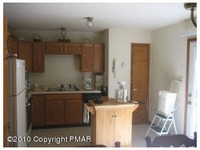 Here's some photos of the lovely Ranch priced right within seconds of the Minisink Heated Pool! How about a view of the lake in Arrowhead for a visual of the Pocono Mountain Offerings! Pristine & Perfect Contemporary Chalet on Quiet Cul-de-Sac Close to 2 Heated Pools. 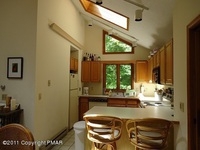 Special Feature is Large Heated Sunroom with Pellet Stove, Lots of Glass, & Door to Large Rear Deck. Also Features Loft Area Plus Master Bedroom Suite, Beautiful Architectural Windows, Stone Fireplace w/ Gas Logs & 2 Parking Areas. Excellent Condition-Hardly Ever Used. A Must See for the Chalet Lover who Wants Something Special. This is a true Mountain Home. 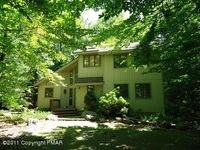 Loaded with all the interiors a Pocono Mountain Home has to offer, this home is priced right as well! To know more about this wonderful chalet, check out Ricks Mountain Homes where you can find everything you need about this home, many more just like it, Pocono Mountain Ammenity Filled Communities, Lakefronts, Log Cabin Homes, and all your Pocono Happenings! Browsing threw my website is free, and it is broken down in a way where nothing will slip your eye to assure you that I am on your side in helping you find your Pocono Mountain Dream Home. Not to mention, this home is in Arrowhead Lakes Community- an ammenity filled community with many things to do including 3 heated pools, a gym, tennis courts, beaches, fishing, and so much more! Also, be sure to check out my MLS Dream Home Finder page that allows you to tell me exactly what you are looking for in a home. Step by step you fill out your requirements, and I find homes that match your wishes and bring them to you! I am Rick Cordisco your Pocono Mountain Professional, Owner, realtor, blogger, and personal Pocono Mountain Guide. My website has everything your looking for or are looking to know about the Pocono Mountains. Ricks Mountain Homes is where you want to be if your looking for a home in the Pocono's providing you with Old Fashion Service With Today's Technology. 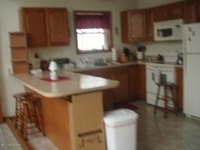 To know more about homes like this in Arrowhead Lakes or other Communities filled with ammenities, click on the link for Pocono Mountain Ammenity Filled Communities above. How about a little bit about Arrowhead Lakes for now ! Arrowhead Lakes - Arrowhead Lakes Community is a private and gated pristine lake community in the tiny town of Pocono Lake, PA! The community amenities seem endless! 2 Large Lakes ( 260 Acre & 90 Acre ), 4 Beaches, 3 Heated Swimming Pools, 7 Tennis Courts, 5 Boat Launches, 2 Sets of Basketball Courts, Volleyball Court, Horseshoe Pits. There are picnic facilities at all pools and beaches with tables and grills. Just bring your charcoal and food and spend the entire day at the pool or beach! There is a fitness room and billiards room available to all homeowners as well as computer stations and share library all encompassed in the New Member Services Building!The community is patrolled by security 24 hours a day and 7 days a week. Garbage is picked up once a week curbside.